Loox offers a range of accessories enabling you to customise the system to meet with your own requirements including battery operated lights, mounting profiles, a range of switches and power leads to suit the most popular power systems worldwide. Leads & Distributors: Including 3-way distributor to operate lights separately, 6-way distributor for connecting additional lights to one driver and extension leads for LED lights. Multi-switch Box & Leads: Allows 1 LED driver to be operated by up-to 3 switches and switched on/off from different points. 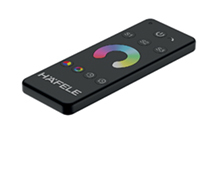 Multi-driver Box: The Multi-driver box allows up to 3 LED drivers to be controlled with one switch, ideal when different rooms are involved. 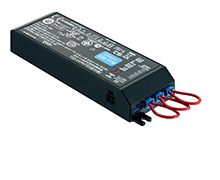 Convertor: The convertor allows 350mA lights to be used in combination with 12V lights and driver. Switches: A range of switches are available including touch free, door and motion sensors, dimmer, push switches and surface mounted housings for switches. 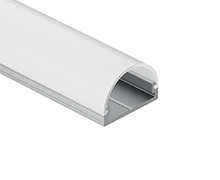 Aluminium Profiles: Available for flexible strip lights, these suit wardrobes, surface mounted, corner mounted and recess mounted applications. 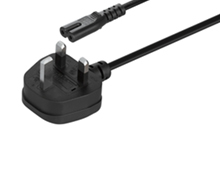 Power Leads & Cable Channel: Including the most popular plugs for power systems worldwide and cable channel tidy for furniture and cabinets.